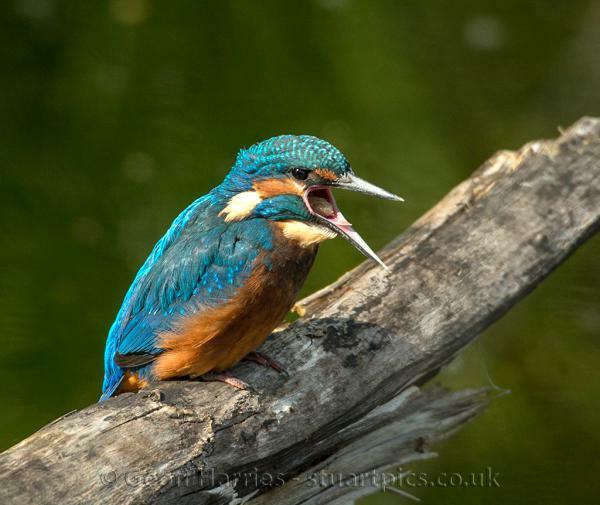 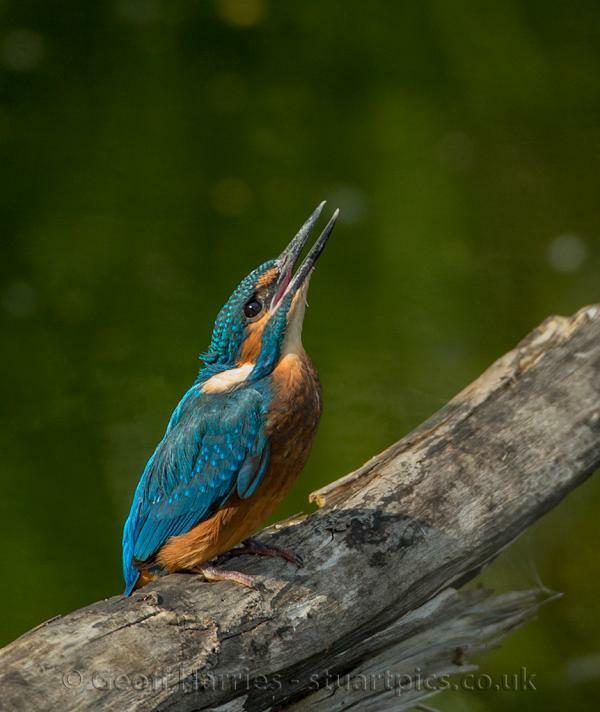 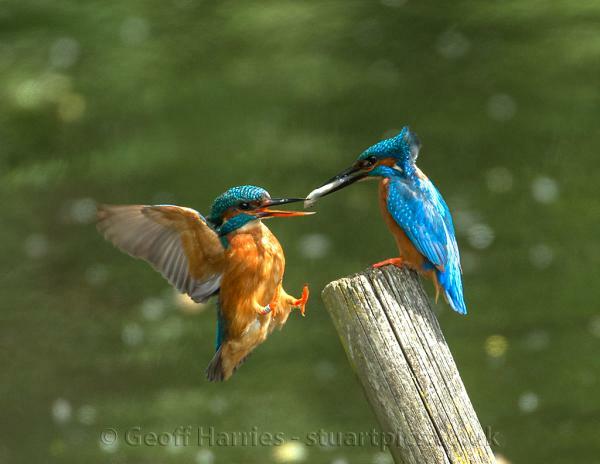 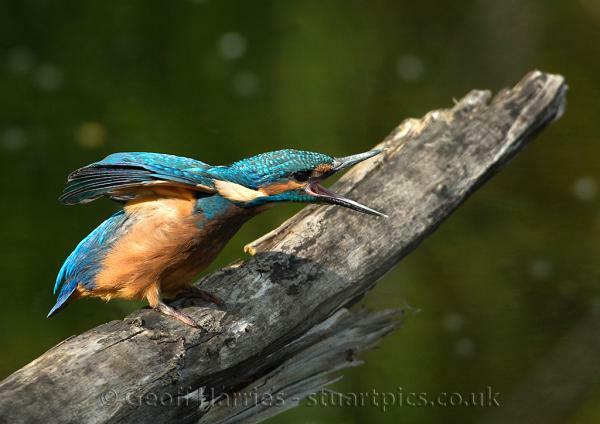 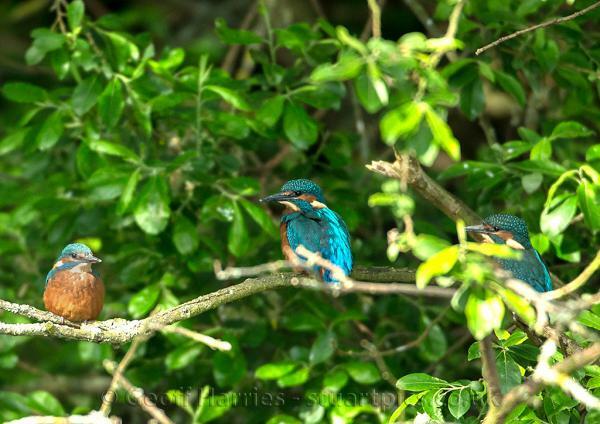 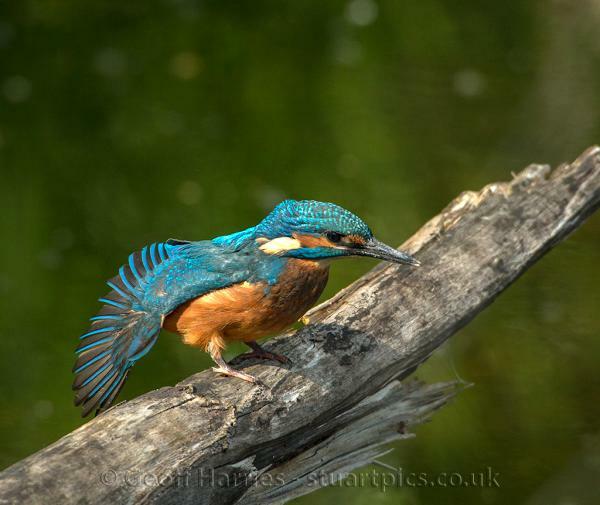 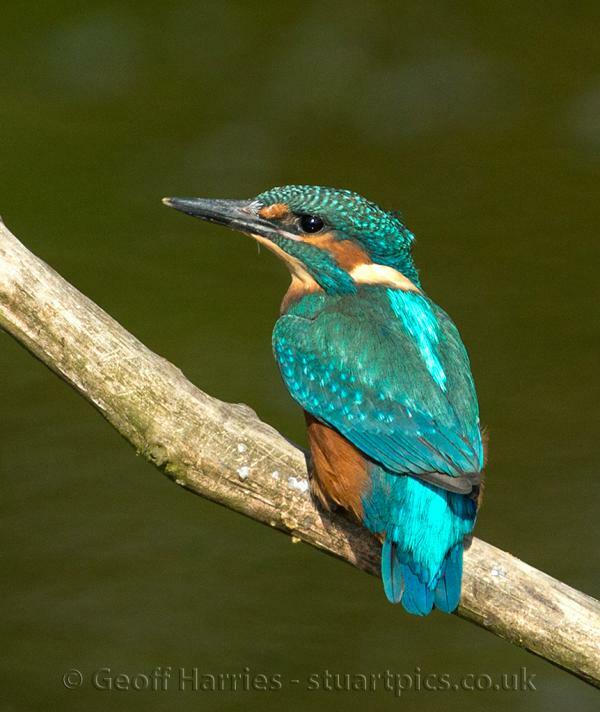 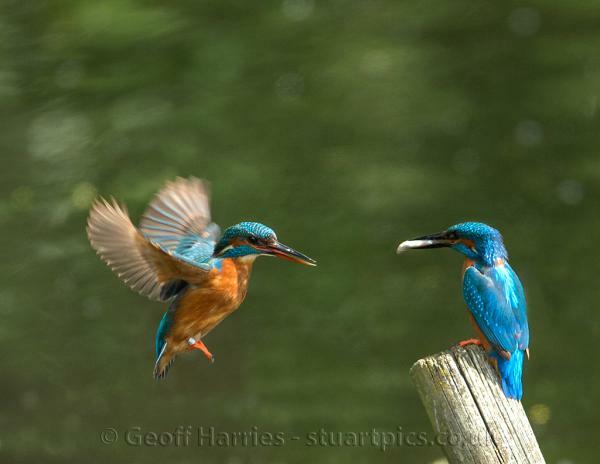 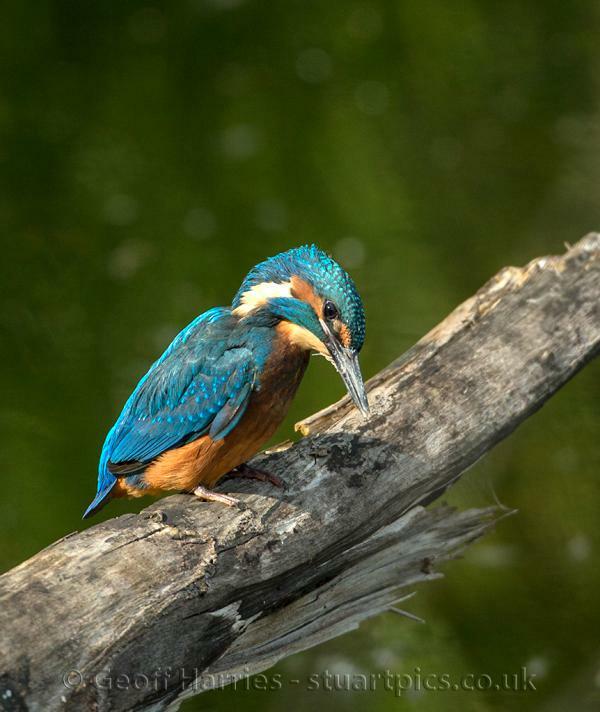 Kingfishers usually leave the nest about four weeks after the eggs hatch. 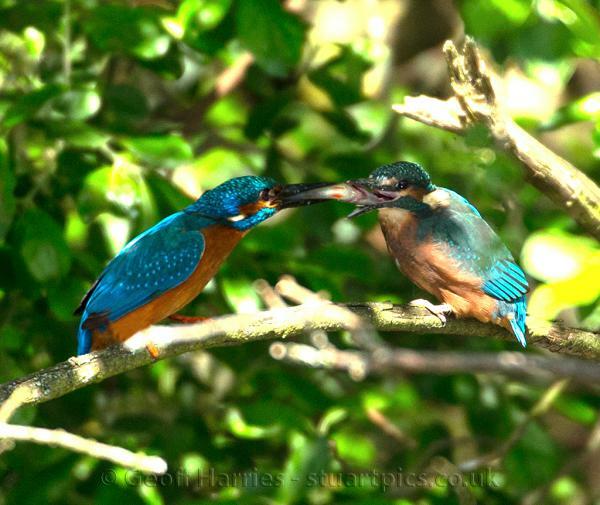 They fledge in the early morning and stay in the area up to a maximum of two days with the parents still feeding them fish. 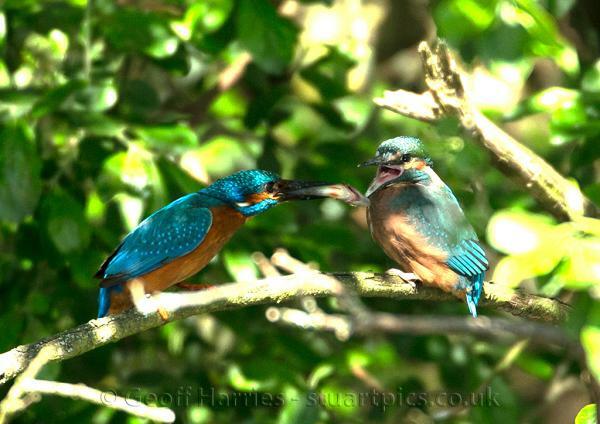 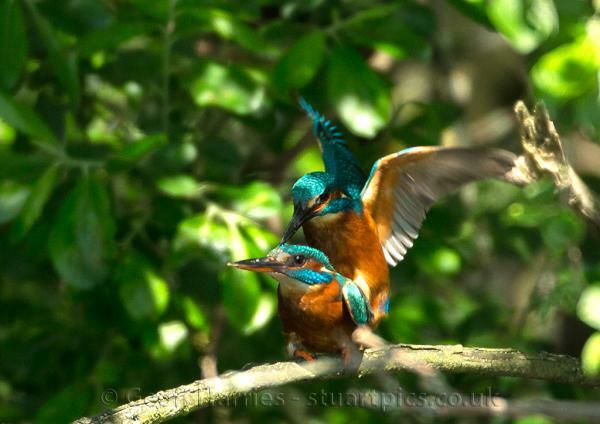 The adults are already mating and starting a new nest, and will chase off the young birds within a couple of days. 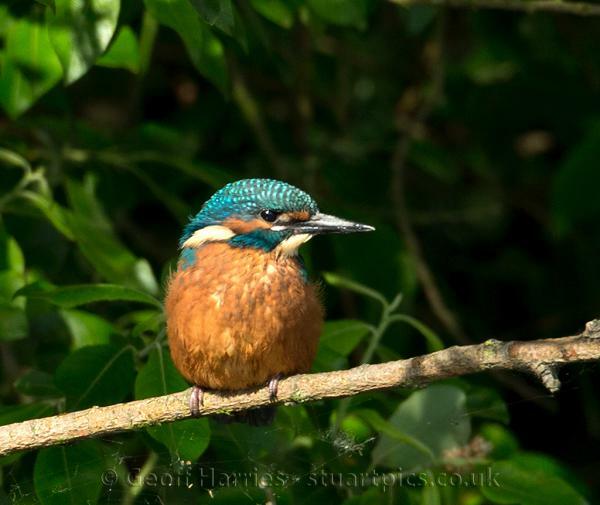 The fledglings have much shorter beaks, pale feet and duller chest feathers compared to the adults.